Viral, Inc. is a social media influencer talent agency that’s been hit hard by Twitter… You may have seen the news that many accounts were suspended for reportedly “tweetdecking,” where content is falsely manufactured to go viral in exchange for money. 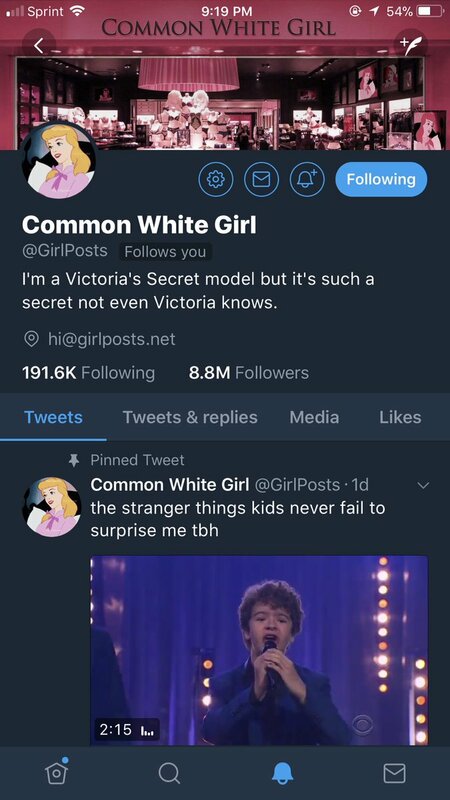 One such account is @girlposts - garnering nearly 10 million followers and becoming the 6th most popular Twitter account in 2017 with 20 million Likes and 6 million Retweets every month, which was created by Suriname-based student Niki Hellings. The evidence proving this case throughout the release remained circumstantial and character, with some particularly harrowing stories involving an Twitter employee (remaining anonymous in fear of their own job security) helping Hellings navigate the suspension process - all dressing the company as a “unregulated monopoly” in the eyes of Jack Irvine, Chairman of Media House International. This led to a back and forth between myself and Rebecca Durnin, Senior Consultant at Media House International, to dig a little deeper and start building a case. So, we have two different sides telling two very different stories. Who is right? Let’s wade in and start from the beginning. This is a good place to start, as it’s easy to mistake this for something else. Tweetdecking is the act of artificially making a tweet viral, by retweeting it through a bunch of highly followed accounts - usually in exchange for money. Did these accounts actually take part in tweetdecking? Looking at @girlposts specifically, it’s tricky to see where they actually tweetdecked. Looking at the specifics of their responses to my emails, by their own admission, Hellings did in fact take part in tweetdecking… Over four years ago - as Niki emphasises throughout the release. So if they didn’t tweetdeck, why were they suspended? The account’s knack for stealing tweets was well documented by many disgruntled tweeters. Over eight suspensions, this was certainly a recurring theme - requiring Hellings to work with Twitter, to work out how to differently tweet for reinstatement. And while according to the release, “Niki made the decision that every tweet would be credited wherever possible going forward in early 2018,” (resulting in roughly the last 2000 tweets being credited - an example from their buffer screen is below), Twitter’s terms of service are vague to the point that it’s difficult to decipher posting a fresh tweet rather than retweeting is stealing. I was also directed to other plagiarism rules on Twitter’s help site - all of which state some sort of declaration is needed in the bio as to the nature of the account. None of these, as you can see on the screenshot below, were present on @girlposts. On a personal note, I do feel kind of sorry for Niki… It looks like she’s jumped through a lot of hoops to keep this account alive, only to be struck down at this critical hurdle. “I’m so devastated about this as I feel like everything I have been working towards has been taken out from under me, and that this amazing community is now at risk of breaking apart - all while I have tried to follower Twitter’s rules and regulations. With each suspension, it gets harder and harder not knowing if the waiting period will be hours, days or weeks, or if I will be reinstated at all,” Niki commented in the release. If the reasons specified to account owners by Twitter were the only reasons, according to Viral Inc’s rebuttal, then Twitter are in the wrong to suspend these accounts. But by removing these accounts, they have made their stance very clear on tweet-stealing - even if its been credited, like the more recent tweets from @girlposts were. Simply put, if you think something is funny, retweet it. Don’t copy & paste. So my final ruling falls solidly into the grey area of this situation, seeing solid reasons for and against each side. But this all falls into Twitter’s favour. And why is that? After all, Viral, Inc. are pushing the rhetoric of Twitter being a larger-than-life super power - briefing in congressmen and congresswomen of the U.S. Senate about this vast injustice and threat to their freedoms. But Twitter, much like Viral, Inc. is just another private company, and they are well within their rights to change their rules for other companies who work to make money off their network. Which may seem unfair, but is not wrong for them to do. Now, we wait for Twitter to comment. What is the one lesson you can learn from this? Simple - don’t try to make a living solely based on social media. To do so is to put all your eggs in the basket of a private company that a) may not be around forever, or b) may change the rules to improve the platform in their own mind.